The Equipment Data Acquisition (EDA, also known as Interface A) standards are a collection of SEMI standards for the semiconductor manufacturing industry to expand the capabilities and expedite the process of communication between the factory’s data gathering software applications and the factory equipment. 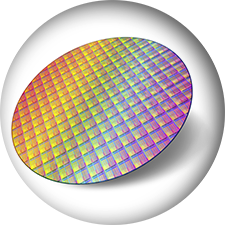 Below are a series of in-depth videos that discuss 10 topics pertaining to EDA/Interface A as it relates to the semiconductor industry. For your convenience we have grouped them into three categories for easy navigation. We encourage you to watch all the videos in order as the topics build on one another. Click the link below each video if you would like to download a complete transcript. If you would like to discuss how EDA/Interface A can benefit your project, we would be happy to schedule a consultation with you. How Do I Buy/Build an EDA Solution? For a complete transcript of Cimetrix' "The Big Picture: EDA Overview and Mechanics" video, click here. For a complete transcript of Cimetrix' "Equipment Modeling: E120/E125" video, click here. For a complete transcript of Cimetrix' "E164 - EDA Common Metadata" video, click here. For a complete transcript of Cimetrix' "Importance of Process Module Tracking" video, click here. For a complete transcript of Cimetrix' "EDA Vision for Manufacturing" video, click here. For a complete transcript of Cimetrix' "EDA Application Examples" video, click here. For a complete transcript of Cimetrix' "Seamless Sensor Integration with E164" video, click here. For a complete transcript of Cimetrix' "Lot Completion Estimation with E164" video, click here. For a complete transcript of Cimetrix' "Best Practices in EDA Host System Design" video, click here. For a complete transcript of Cimetrix' "Creating Good EDA Purchasing Specifications" video, click here.